Leadership is significant. We all know that. It’s a bit like saying that we need oxygen to breath. However, I have heard it said that up to 60-80% of the culture of any organisation is determined by the leader and / or its leadership. Now, that’s bit more than just breathing. So, what are the characteristics of effective leadership? I’m sure that the list below is non-exhaustive, but it has certainly made sense to me in terms of the individuals that I have seen who have been authentic and inspiring leaders. There are five major components to leadership as outlined below. Integrity; Personal credibility; telling the truth; In his book, “Principle-Centered Leadership,” Dr Stephen Covey has written about the importance of leaders following principles in their daily behaviour. Q: How does character get defined? This is all about whether you have direct knowledge or hands-on skills in relation to the industry or area in which you might lead. I have certainly heard it said that a good leader can acquire certain technical information and expertise on the job, and that it’s more about having people skills and emotional intelligence, but in the main, there is little doubt that having direct prior knowledge and expertise can assist credibility and job performance. Q: What would you consider personal capabilities might include? Effective use of information technology – this person sets an example in the consistent use of e-mail, powerful software applications, and any technology that escalates performance. It is one thing to set the vision for the company or group, it is another to assist them to get there. Setting goals and providing the necessary support for the team to meet the targets is a key role for any leader. Q: What would you consider a focus on results might include? How do leaders focus on results? Leaders need to be able to connect with their followers – and connect well. Of course, it is also about being task-oriented, but what’s the point of being so outcome oriented that you forget about your people? Q: What would you consider interpersonal skills or people skills might include? A leader with strong interpersonal skills would include the following? Anything that does not grow on the planet dies. And that goes for businesses as well. Leaders need to be able to provide the vision to their people, as well as the strategy about how to arrive and achieve the final result. But we’re creatures of habit and generally we don’t like change, so the leader has to be able to guide the team through the change process which might of course, take months to achieve, but could take years. Q: What would you consider leading organisational change might include? 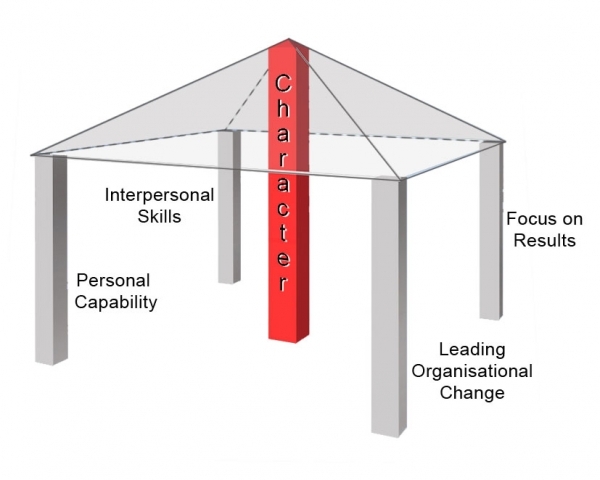 What are the specific skills required for leading organisational change?